Please note that as of July 1, 2017, the JoanTreppa.Wordpress.com blog has been discontinued and in its place is my new website JoanTreppa.com. I have transferred all of the content from the WordPress site to the new site, as well as adding additional information and a link to order my book titled Reclaiming Lives: Pursuing Justice for Six Innocent Men. I was unable to transfer any subscription information, however, so if you are interested in staying connected please subscribe to my new website. Thank you for your interest. This experience happened in my early twenties. It was a problem I could have easily remedied with a little kindness. Many problems are out of reach for this suburban wife and mother. But if I can figure out what things I can do maybe my actions will affect the bigger picture. Five years ago I was given the chance to put that idea to the test. Enter citizen advocate: supporter of six innocent men. My introduction to wrongful convictions came about when I read a book in 2009 called, The Monfils Conspiracy. 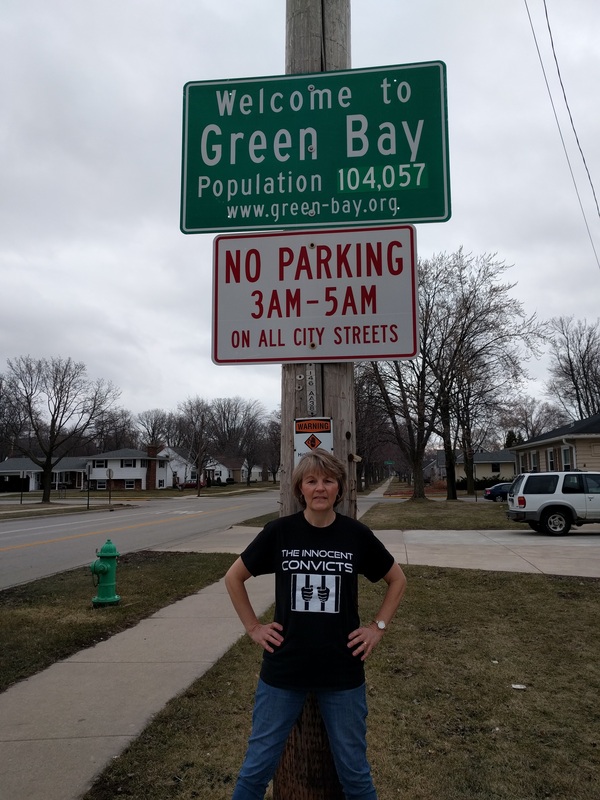 It told the story of Keith Kutska, Dale Basten, Michael Hirn, Reynold Moore, Michael Johnson and exoneree, Michael Piaskowski, six paper mill workers wrongfully convicted of murder in Green Bay, Wisconsin, USA, in 1995. Putting aside any conclusions I had of guilt or innocence, my initial impression was that they had been bullied, much like I was as a young girl. Although their experience was far worse than mine, their rights, like mine, had been violated. After delving into specific details of the case, it became apparent that they were unfairly targeted despite evidence that pointed to their innocence. They had families, homes and job security. What’s more, they had alibis and no prior history of violence. They were victims of an ambitious prosecutor, a police force pressured into solving the case, and a community consumed by vengeance and fear. Bringing attention to this case was necessary. Since Michael Piaskowski had been freed (exonerated) by a federal judge citing no credible evidence, the indications were clear-that the six men who were tried jointly in the same courtroom are all innocent. I say this with certainty because there was no evidence or credible witnesses to prove that any of them are guilty. And anyone who has experience or knowledge of wrongful convictions knows how common this is. For these men and their families I became their voice, their honesty, their justice…things I once longed for…a voice that eventually compelled a sympathetic attorney to bring this case back into the courts. In October of 2014, a motion to request an evidentiary hearing for one of the men, Keith Kutska, was filed. That motion was granted by the original trial judge, and a 3-day hearing was held in July of 2015. Its purpose was to ask for a new trial for Kutska. However, that request was denied by this same judge. So a new motion was filed in the WI Court of Appeals in March of 2016. That motion was denied on December 28,2016. The latest action was to petition the Wisconsin Supreme Court to take up this case. We are currently awaiting their decision. Find more information about this case here. The people I advocate for usually have no money to seek adequate legal help. So they sit in prison, praying for someone to care about what happened to them. Many of them write letters trying to find help but with very little luck. It only serves to bottom out an already defeated soul. I learned of an organization called the Innocence Project, an organization that charges nothing to represent incarcerated people with legitimate claims of innocence. The great thing is, they are willing to help if they can. The bad thing is, they rely heavily on public donations and grants to fund their work. Many times those funds are inadequate and they are forced to turn away many desperate cries for help. However, if you know of someone who has been wrongly convicted, I urge you to seek out your nearest Innocence Project for advice or possible help. There are many across the country and around the world. You have my blessing. About the picture: This is a promo shot for an upcoming documentary I was interviewed for called, The Innocent Convicts. The film highlights numerous wrongful conviction cases including the Monfils case. It will air on numerous PBS stations across the country in 2018.